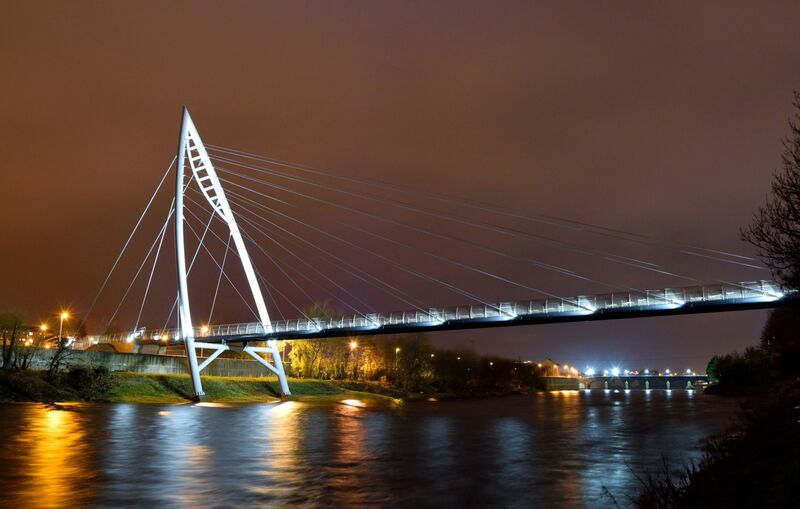 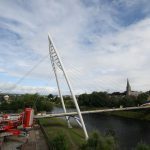 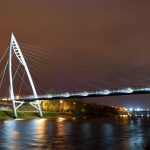 This new footbridge across the River Mourne in Strabane was installed by SH Structures during the summer of 2015. 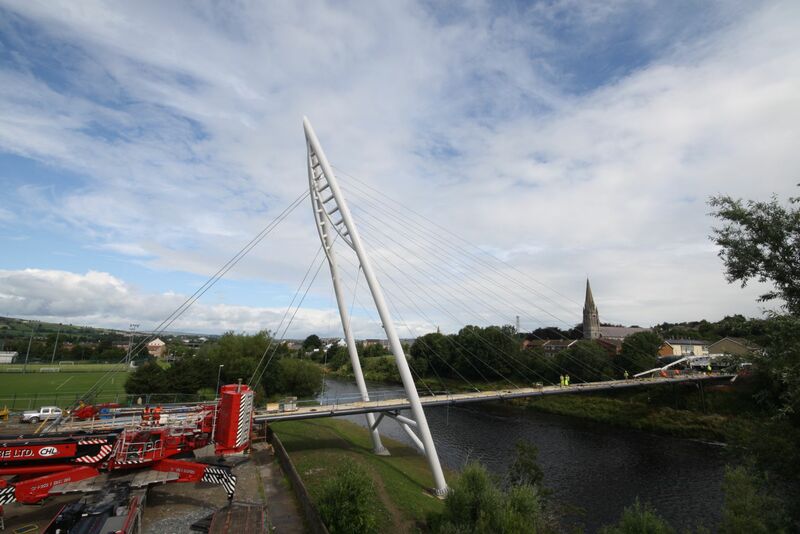 The 92m. 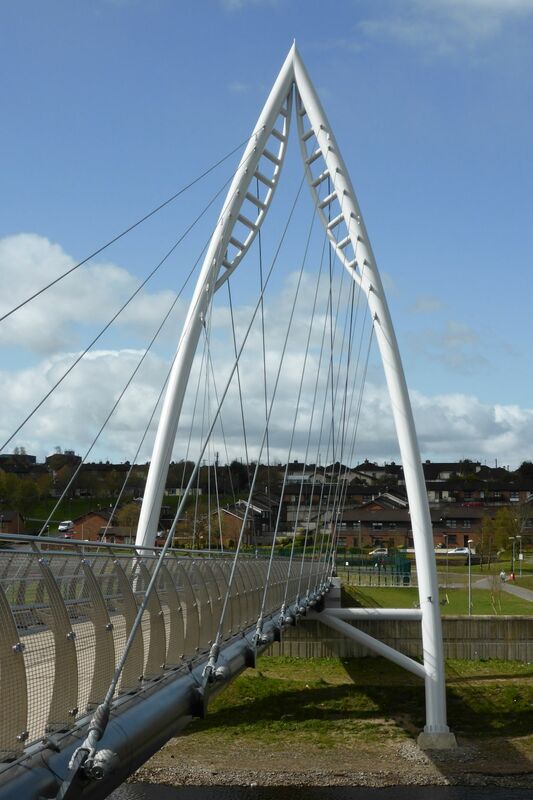 span cable stay structure, which sits within a designated Special Area of Conservation, has a 38m. 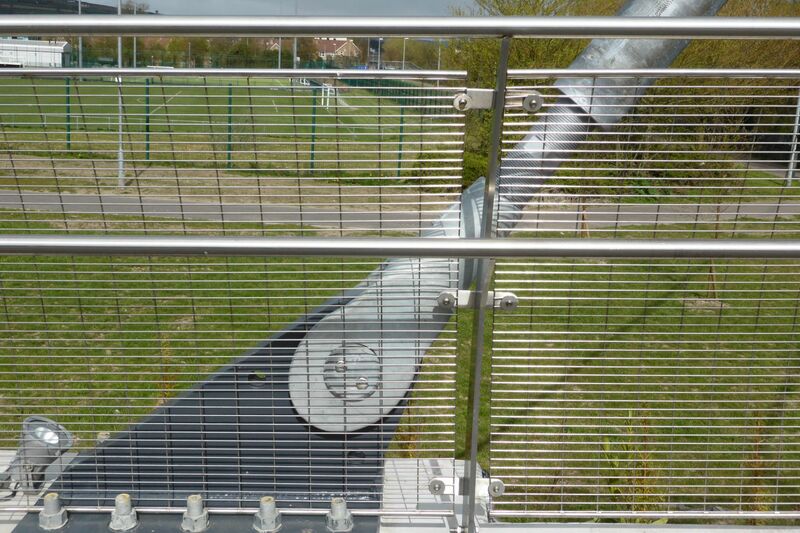 high wishbone mast. 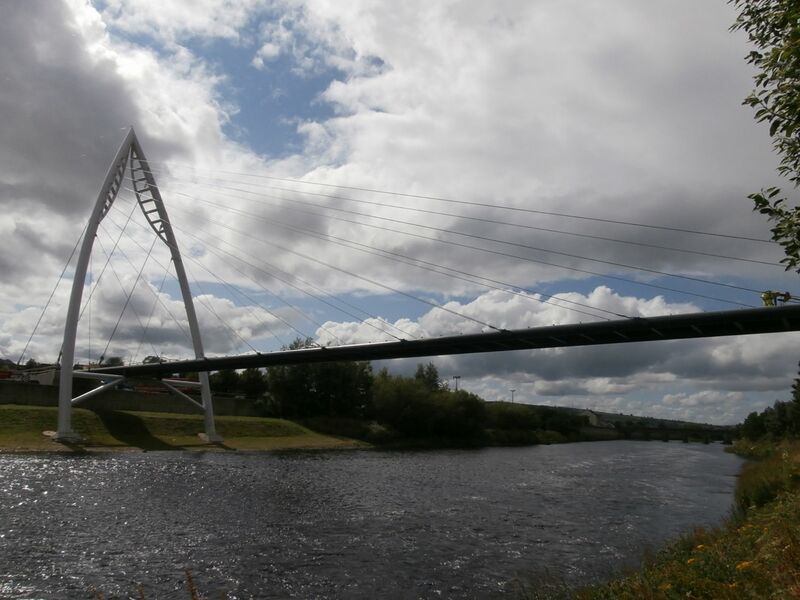 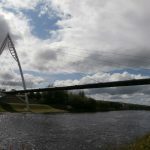 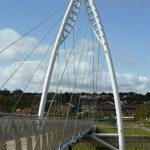 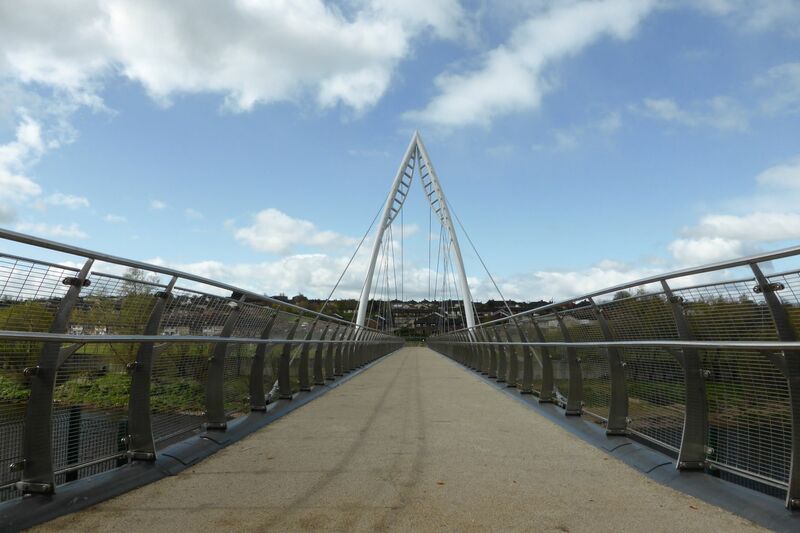 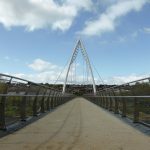 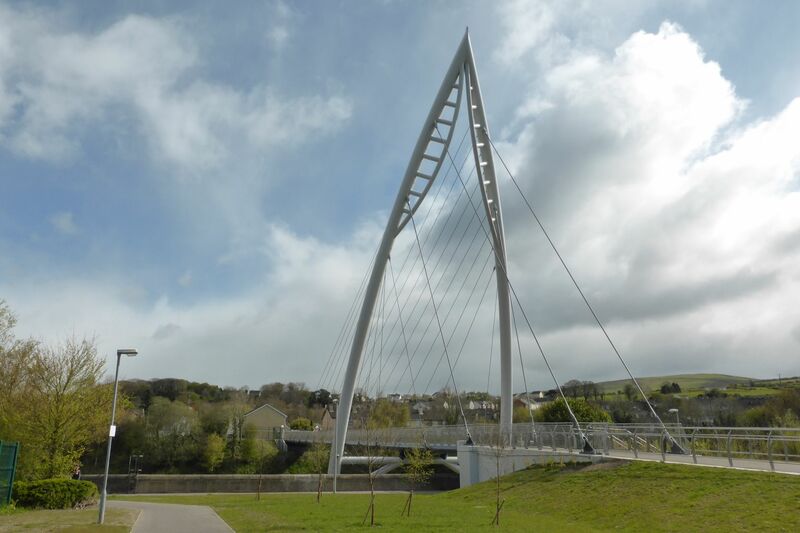 At 3.5m wide the new bridge now creates a much needed link for pedestrian and cyclists between the Melvin Park residential area of Strabane and the town centre. 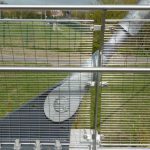 The cable stay design was selected to minimise the impact on the north bank and take advantage of the large area available to the south where the mast could be assembled and installed. 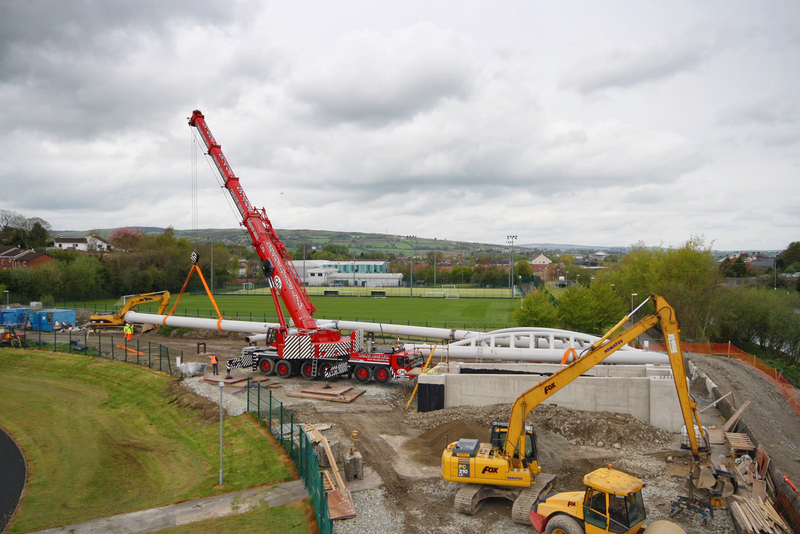 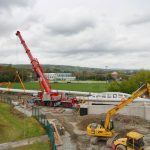 The mast was brought to site in sections and assembled on temporary works before being lifted into place using two mobile cranes to complete the challenging tandem lift. 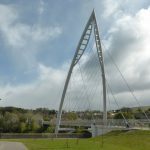 The completed structure was shortlisted in the 2016 Structural steel design Awards.